Holding a party or special event can be very stressful. There is a lot to think about and a long list of things to do. Providing everyone with good quality food that looks and tastes good takes a lot of time and organising. However, it need not be that way. When you use us at Hog Roast Stratford, we take care of everything for you. It does not matter whether you are catering for twenty people or two hundred – we are here to help. The team of professional chefs and party organisers at Hog Roast Stratford have catered for hundreds of events. Many of our customers have been using us for more than ten years. 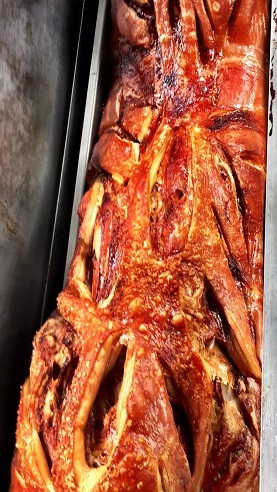 You really cannot go wrong with a hog roast. The vast majority of people love the taste of the meat and it goes a long way. You can feed lots of guests with just one hog. The meat is always succulent and tastes just as good served cold later in the evening. Our chefs are also trained to cook a range of other meats and other dishes. We only use the best ingredients, which guarantees that your guests will enjoy the food whatever they choose to eat. Whenever possible we use locally sourced ingredients. You can choose platters from our luxury Indian, Chinese and other themed menus. 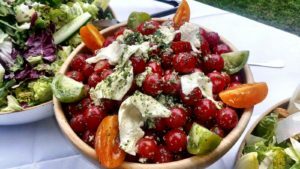 Even if some of your guests are vegetarian you can still use us because we also offer vegetarian dishes and salads. We even do desserts! We are a large team of professional, expertly trained chefs who have years of experience in the art of spit roasting as our name suggests. This cooking method in fact dates back even further than the birth of Shakespeare himself! The method is growing in popularity in recent times, much due to it’s great taste and brilliant ability to provide great food for a large number of people. 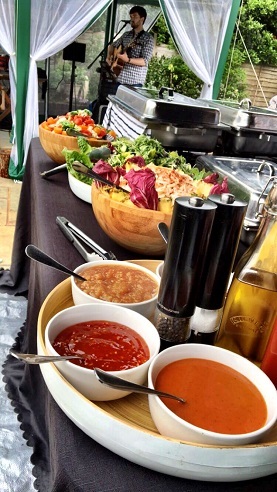 We believe that this cooking and catering method is one which is truly suitable for all kinds of occasions and events. With so much to see and do in Stratford, we could not help but fancy a piece of the action ourselves and so we formed our business, Hog Roast Stratford in this marvellous town. We have been lucky enough to be able to cater for weddings, business and corporate events and parties in the Stratford area and we are always looking to expand our event experience in the area! Get in touch with us here at Hog Roast Stratford for your next event. 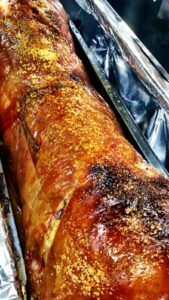 It is also possible to lease a hog roast machine from us, the perfect solution for those who prefer to take the credit for doing the catering themselves yet still want to wow the guests. 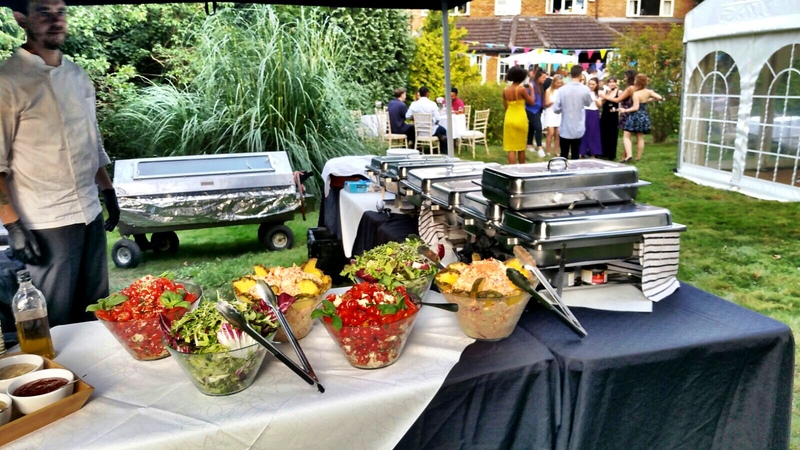 It’s never been easier to leave your guests astonished than by using our hog roast machines. Novice or expert chef it really doesn’t matter as you will both produce fantastic, succulent meat. Our machines do the hard work so you don’t have too. How much you spend is entirely up to you. You can get a full quote for either our machine hire or our Hog Roast Stratford catering services, simply by calling us or dropping us an email. After taking a few key details from you about your event we will have a free quote on it’s way to you. Copyright © 2019 Hog Roast Stratford . All Rights Reserved.